Bacardi NH7 weekender the most popular music festival in India is an annual multi-city festival, which every year comes up with great fervor and attracts around more than 1 lakh music lovers from around the country. First started in 2010 in Koregaon Park, Pune. With 35 artists across 4 stages headlined by Asian Dub Foundation and that sparked a fire, which continues to rage to this day. Since then Bacardi NH7 Weekender is getting bigger, bolder and better every year. This weekend it's going to be all about Bacardi NH7 weekender 9th edition in Pune and from 7th to 9th December 2018, the happiest music festival will delight the attendees with a host of events lined up. 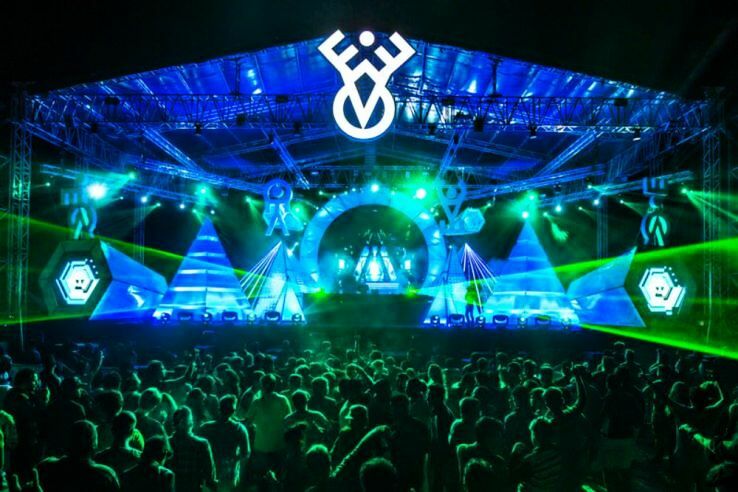 Here we have curated date wise events and giving you reasons to book yourself a ticket to this most amazing and happy music festival in India. God Is An Astronaut band, Mahesh Kale, Benny Dayal and Funktuation, Mohini Dey, sleepmakeswaves, aswekeepsearching, The Contortionist, Salim-Sulaiman Live, Ankur and the Ghalat Family and many more to have a complete gala day. Day 2 of Bacardi NH7 Weekender, Pune is packed with popular music artists, comedians, and endless band performances. Wherein you will find West Thebarton, Dualist Inquiry, Ritviz, Sapta, Joe Satriani, The Local Train, Louise Burns, Sandunes Live, Shébani, Tanya Nambiar, The Kush Upadhyay Group, When Chai Met Toast and many more to make you keep dancing and rolling! Also, Ape Echoes, Burudu, I M U R, Jay Abo, Kimochi Youkai, Komorebi, and Lagor will also be there to rock your night. Not just that famous comedians from Comicstan and all-time favourite Zakir Khan will be performing along with Aishwarya Mohanraj, Kaneez Surka, Kunal Rao, Niveditha Prakasam, Prashasti Singh, Rohan Joshi, Sumit Anand. Day 3, the final day of Bacardi NH7 Weekender, Pune has the tradition of calling off the event with a bang, where you will see performances of the best of bands singers and comedians! To make the bid adieu the most memorable, here are the performers you will get to meet! So dance, roll on the ground and laugh your lungs out with FKJ, Shubha Mudgal, Divine, Bhuvan Bam, House of Waters, Parvaaz. Aditi Ramesh, Alif, Alok Babu aka All.OK, Carl and the Reda Mafia, Cinema of Excess, DNKLE, Gurbax, Kumail Live, The LaFontaines, Worldservice Project and many other. Laugh riots from Biswa Kalyan Rath, Kumar Varun, Radhika Vaz, Rahul Dua, Sapan Verma, Sonali Thakker and many others.